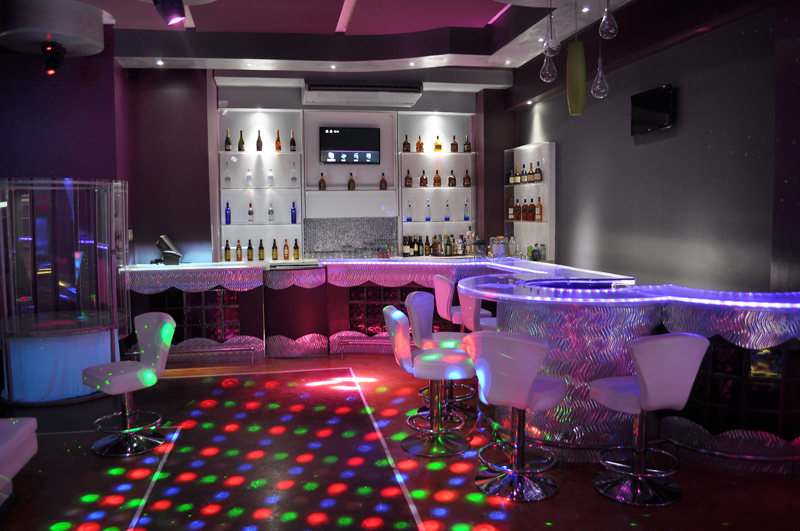 FACEBAAR – Nightclub | Montego Bay, St. James The elements of the bar are clean and simple, yet bold. Light is an integral ally in defining its architecture. The bar is capable of 257 light colors and an almost infinite possibilities of color combinations, making it ever changing yet constant. FACEBAAR – Nightclub | Montego Bay, St. James Once the home to a Cambio, the entire space was gutted to reveal a mere shell. Every surface was designed and finished. 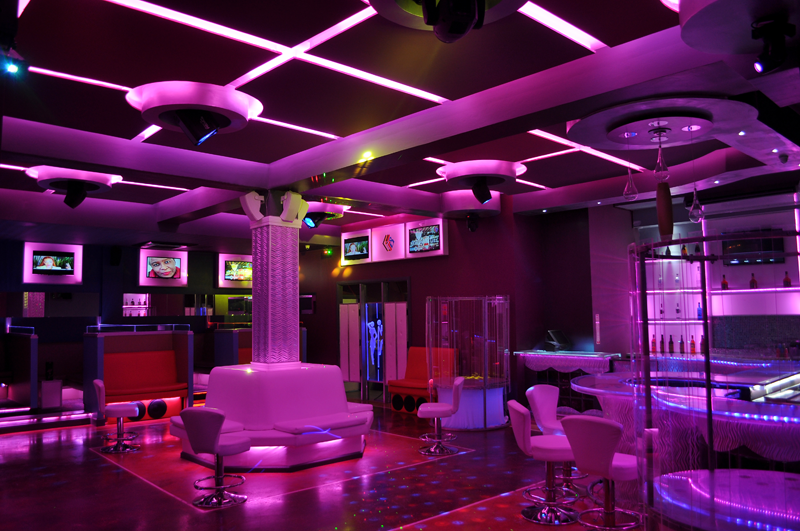 We are particularly proud of space layout and use – from the open areas, to private booths, dance floors, bar, restrooms, entry vestibules and control centers. 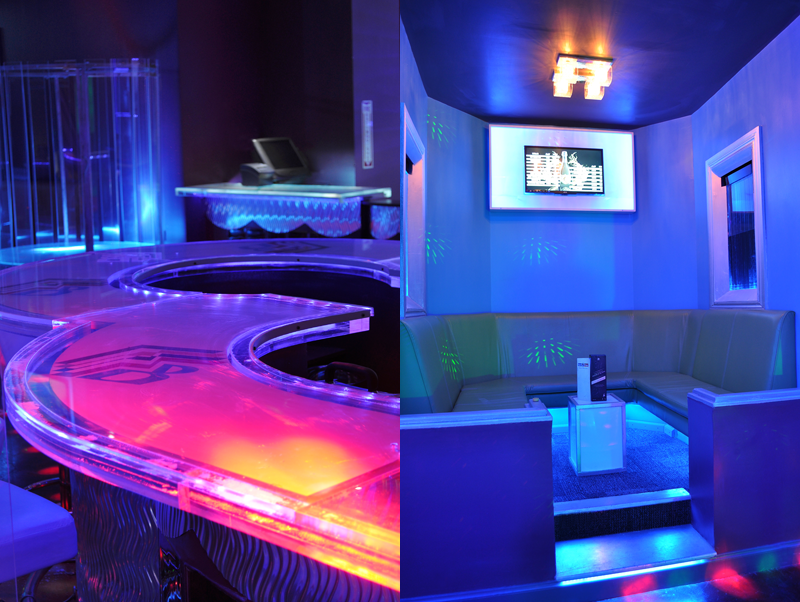 FACEBAAR – Nightclub | Montego Bay, St. James Natural light once filled this space through its two walls of glass. We banished the daylight and crafted a space of kaleidoscopic color; the northern lights on display – while maintaining the dark intimate seduction of a festive nightclub. 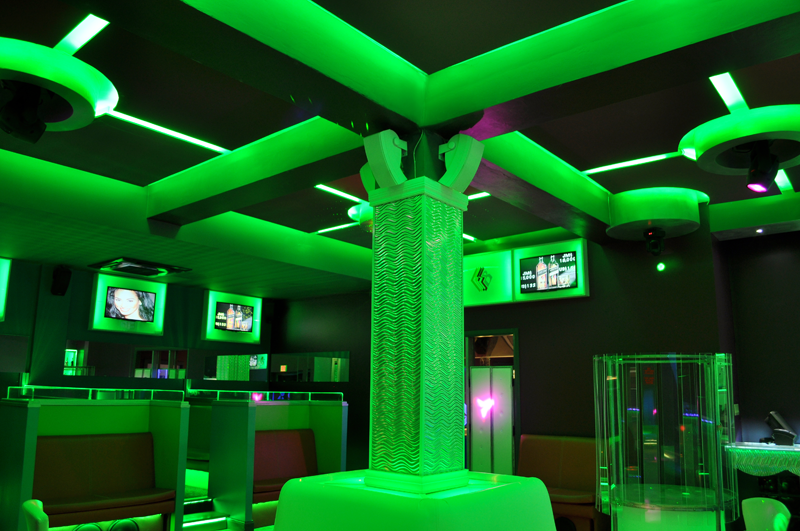 FACEBAAR – Nightclub | Montego Bay, St. James The ceiling design is multi-functional. It houses the hidden ambient lighting which accents the interior architecture, paints and sets the mood with 257 hues. It houses task lighting, disco and accent lighting and is noise control agent with its breaks, levels and materials. 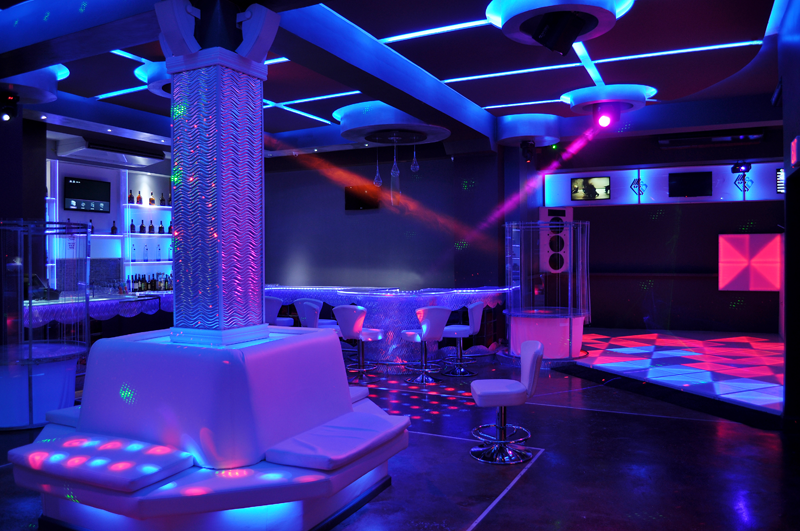 FACEBAAR – Nightclub | Montego Bay, St. James When washed in white light you get a hint of the true color scheme which utilizes four shades of purple, gray, blue, green and burgundy. Glass, acrylic and steel, provides accents. Each of the colors and elements are rendered by light to produce an ever-changing environment. 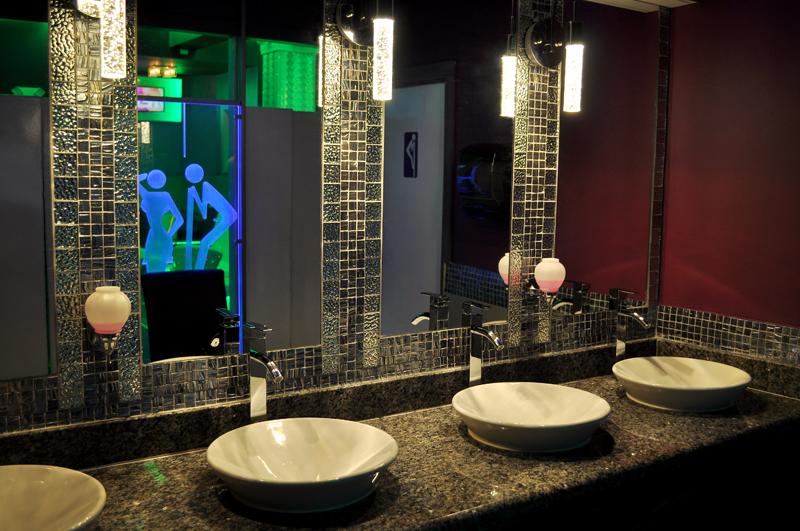 FACEBAAR – Nightclub | Montego Bay, St. James The restrooms share a common vanity area to maximize space use. The dark granite top and wall finishes are all designed to absorb light, while emphasizing the white vessel lavatory. A gentle even illumination of the face is accomplished by lit LED acrylic tubes. 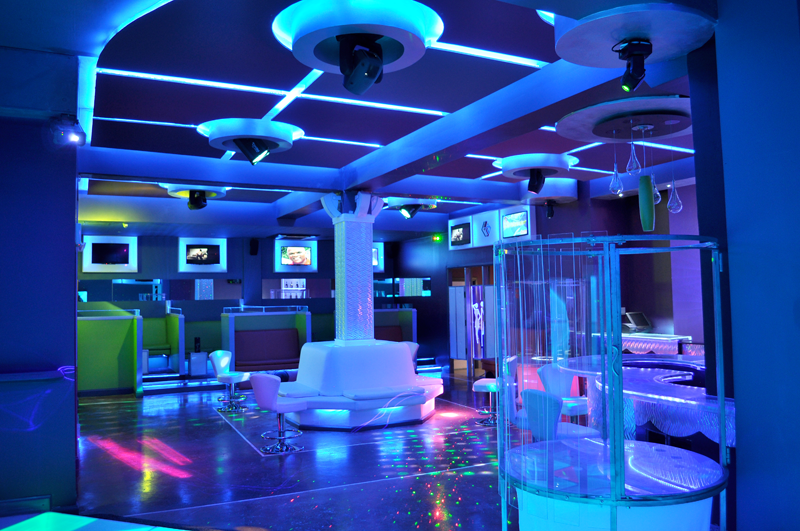 FACEBAAR – Nightclub | Montego Bay, St. James The club seen in another light! Strategically placed illuminated glass panels atop low partitions, eliminating sitting and resting objects on them, hence preventing accidents. The wall mounted monitors feature changing faces of famous people, videos and ads. 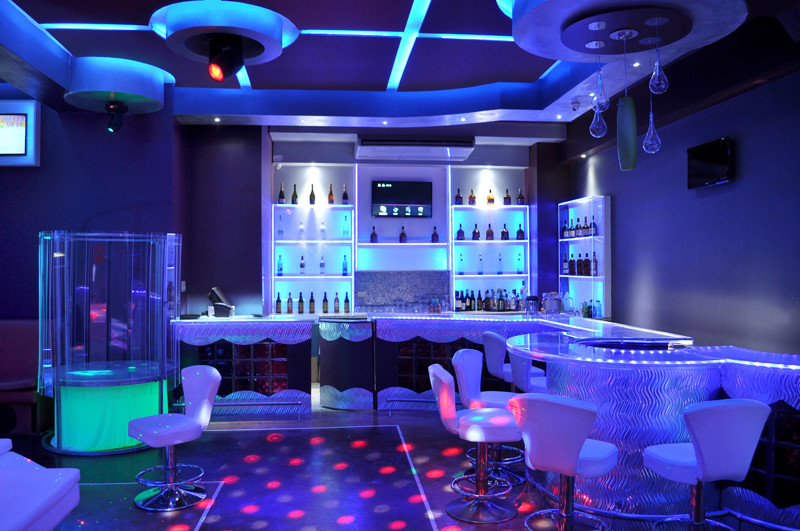 FACEBAAR – Nightclub | Montego Bay, St. James Here is a view of the bar top and a VIP lounge area featuring wrap-around seating and bubble-wall windows. Lighting is used to highlight the steps, illuminate floor area and visually identify the seating area.